Priority Matrix is a time and project management solution created by Appfluence. It costs $3 on the iPad and iPhone. Priority Matrix is also available on Windows for $30 a year and Windows and Mac for $50 a year. Any tasks and projects you create using Priority Matrix will be synced across any device you own (including computers, iOS and Android devices). Instead of having to deal with traditional task lists that go on endlessly, Priority Matrix allows you to break up tasks by projects and importance. Each project has four quadrants, one labeled “Critical and Immediate,” another labeled “Critical,” another “Immediate,” and the last “Uncategorized. Depending on your needs, you can rename each quadrant to something else. Quadrants for example could outline pros and cons, strengths and weaknesses, etc. 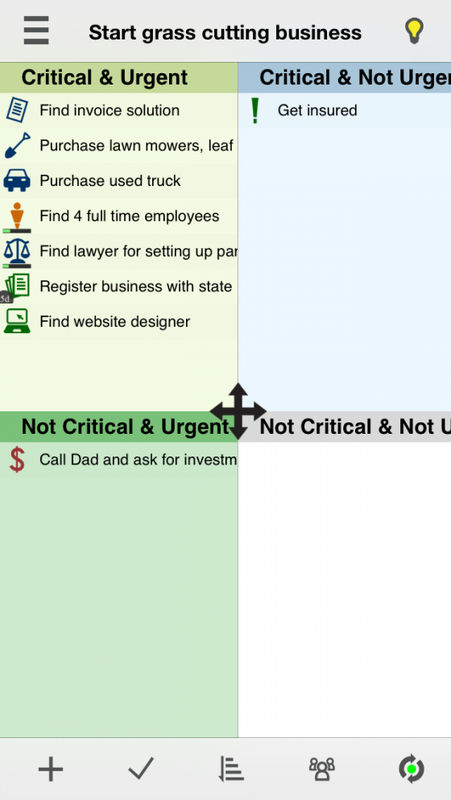 In the example above I created a mock project called “Start grass cutting business.” You can see the things that need to be done immediately as well as those that are critical but not urgent. You can also categorize tasks in each project by the amount of effort they require or how much they’ve been completed so far. 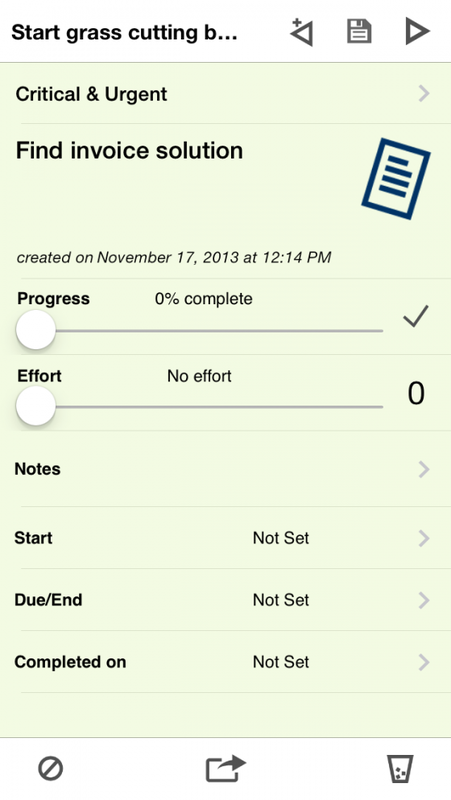 Each task also has an effort and progress bar that helps you prioritize tasks. Not to mention that you can also leave notes for each task, assign start dates and due dates. If you want to share a project with someone else who has Priority Matrix, you can easily do that. If you want to share it with someone that doesn’t have Priority Matrix, you can do that as well. Priority Matrix supports numerous formats for exporting as well as emailing projects. There is even a web version of Priority Matrix you can use to share projects via links. Priority Matrix allows you to manage time and projects like never before. This app is listed in the app store as a business app and not a utility one. Basically it’s goal is to get you to be more efficient, which in turn will make you more money or keep you from going insane. 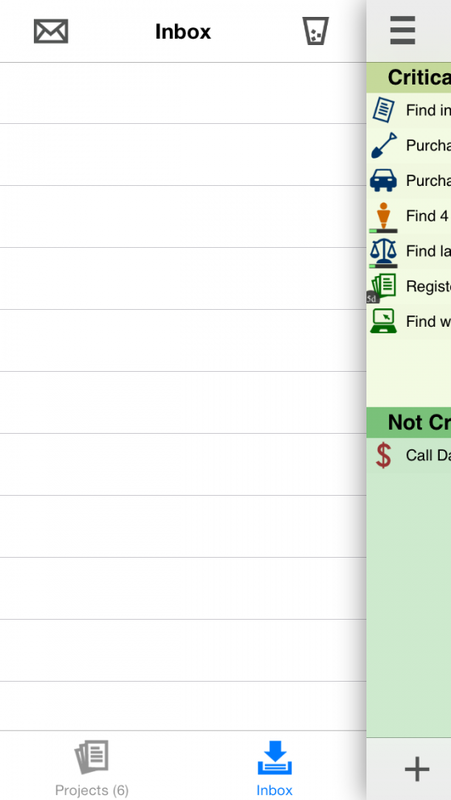 Priority Matrix isn’t just another task list “utility” it’s a business solution for freelances, managers and teams. The good thing about Priority Matrix is that it’s one of the best project management solutions out there that syncs across any device and can be shared via links. Not to mention that it’s really reliable and has a simple to use interface. While using this app (and program on Windows), I did not come across any glitches, downsides or room for improvement. Priority Matrix costs $200+ for partners and businesses, so you would only expect that they have everything down perfectly. Even for someone like me that’s a part-time freelancer, Priority Matrix is highly worth it. If you’re a freelancer, team or business owner, then Priority Matrix is a must have solution. Business owners already spend so much on invoice and finance management solutions. Spending $30 a year for a personal license, or $500 for a small team is nothing compared to the other costs of running a business. Since Priority Matrix is so effective at getting things done efficiently and on time, it only makes sense that it should be utilized by businesses whenever it’s possible, appropriate and affordable.